Artists are known more for their rivalries than their collaborations -- Matisse and Picasso were the Texas-OU of 20thC painting, which you probably already knew if you went to any other school besides OU. 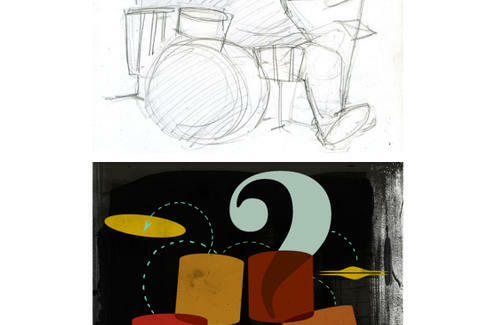 To see what happens when artists play together, check out Ten Paces and Draw. 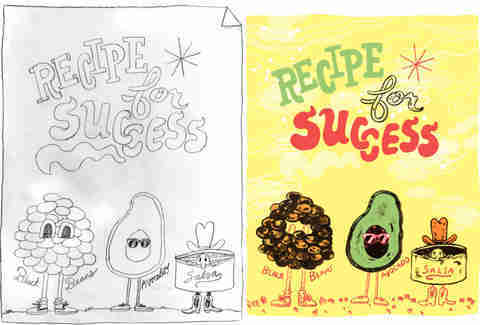 Local Public Schooler Will Bryant doodled an avocado, black beans, and salsa - a "recipe for success" which was then colorized by LA's Niv Bavarsky, who also outfitted the vege-fruit with a sweet pair of shades. 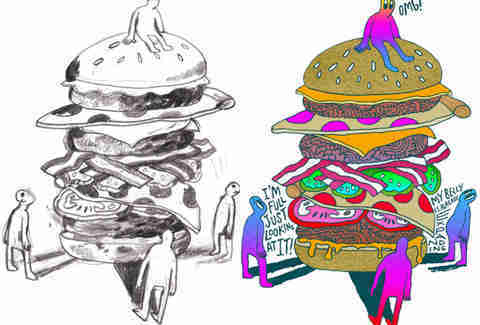 Flipping roles, Bryant took a smudgy drawing of people surrounding a colossal burger with all the trimmings (including a slice of pizza), gave it the neon treatment, and dropped in Family Feud's #1 answer in the "Lies Overweight People Tell" category, "I'm Full Just Looking At It". 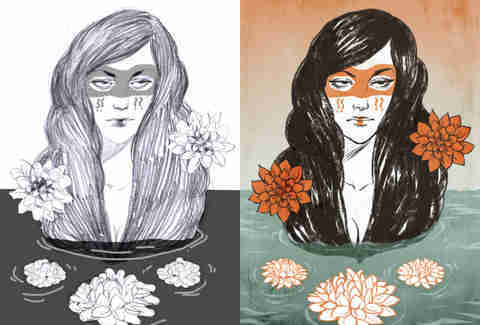 Fashion illustrator Babs Tarr took a pen drawing of a masked mermaid by Houston native Justin Volz to the next level by adding washed-out backgrounds, firming up the facial features, and accentuating the semi-exposed chest, giving you another type of semi altogether. As the project's developed, much of the work has started centering around weekly themes, from "At The Zoo", to rock stars like Bowie and Alice Cooper -- whose surprising beginning as a high-school track star is a sad reminder that, until we get a running game, UT fans' moods won't emerge from their Blue Period.